Mister Donut is a popular donut chain in Japan and I’ve seen many people post about the popular “pon de ring” donut from Mister Donut and I knew I had to try it since I’m a fan of donuts. What makes this donut special? The texture is chewy and similar to eating mochi! If you like mochi, I recommend you try this too! 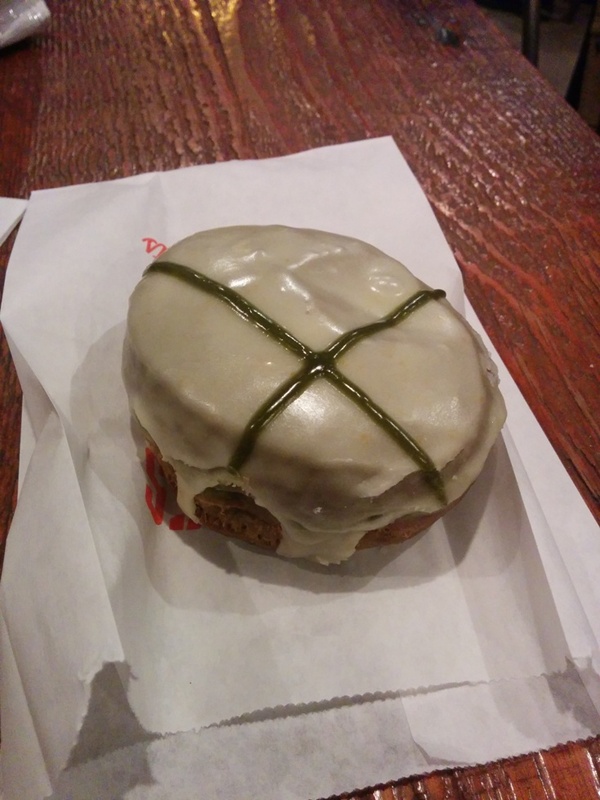 This entry was posted in Japan Food and tagged donuts, doughnuts. Doughnut Time seems to be everywhere in Sydney! I’ve passed by five locations and I just had to give them a try! These babies are huge! It’s like a doughnut meal! The shops are really small with just a window displaying the sugary goods and you just take it to go. With a neon doughnut sign on the front of the retro green shop, they’re hard to miss. 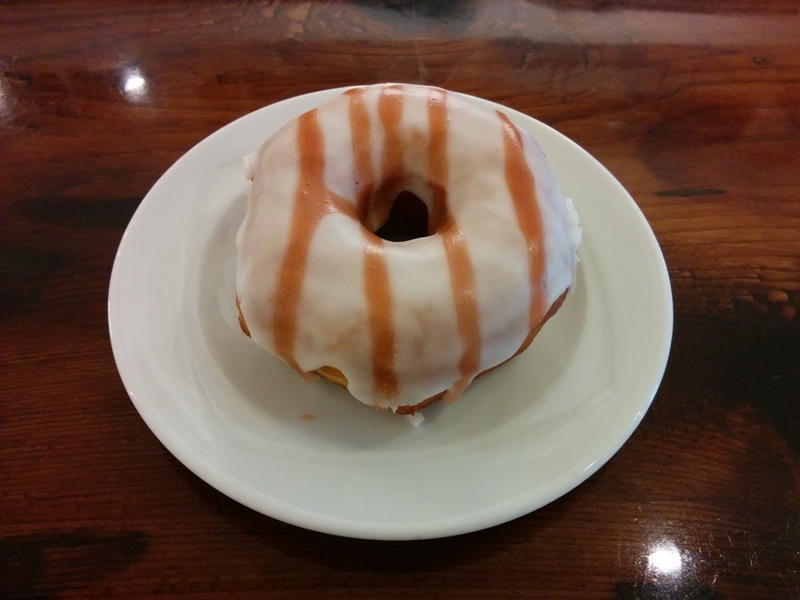 This entry was posted in Eat and Travel and tagged desserts, donuts, doughnuts. 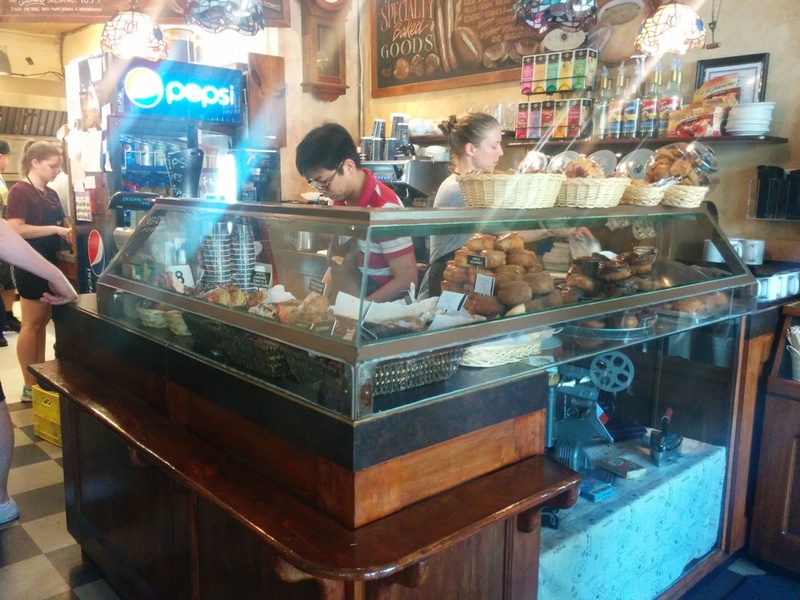 Lucky’s Doughnuts – Main St. I have been going through a doughnut phase lately so I dropped by Lucky’s Doughnuts! Also tried the Memphis Hash. 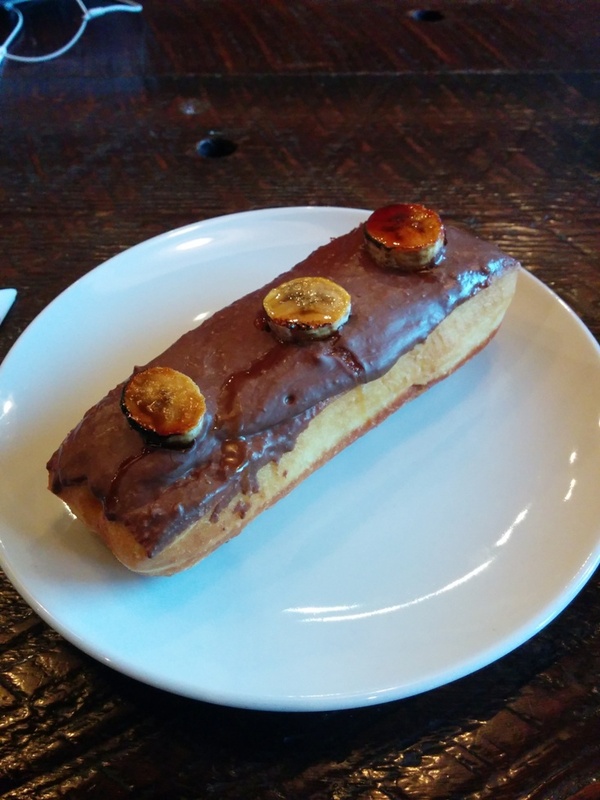 I had no idea what it was but the server described it as a peanut butter cream filled doughnut with Nutella icing on top and carmelized banana slices. Sounded like a good combination to me! 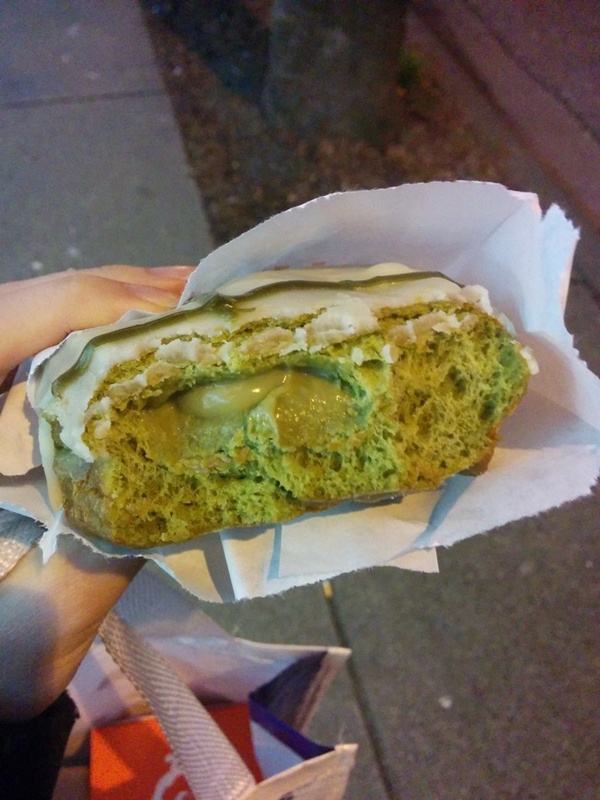 There was plenty of peanut butter cream but the dough part was more dry compared to the Matcha Bismarck. The carmelized bananas were stiff on the sides from the sugar glaze so it tasted a little unusual to me but it was a fun doughnut creation that successfully united peanut butter and Nutella. This entry was posted in Cafe/Bakery, Desserts, Food Reviews and tagged banana, donuts, doughnuts, matcha, nutella, peanut butter. I had some donut cravings lately and thought of Cartem’s! I think they’re my fave donut place now and next would be Tim Horton’s since it’s cheap and convenient and they’re really opposite ends of the donut spectrum haha I can appreciate most donuts though! First we have the Candy Cane donut. This was my least favourite since it felt dry which is rare for them and the flavour was a bit artificial for me. This entry was posted in Cafe/Bakery, Desserts, Food Reviews and tagged candy cane, Christmas, donuts, doughnuts, eggnog, marshmallows, seasonal. Donuts are practically a dietary staple since they’re pretty cheap at Tim Horton’s. However, at Lucky’s these are not your typical mass produced doughnuts. Everything is made from scratch and in-store everyday. That also explains the higher price points (~$3). 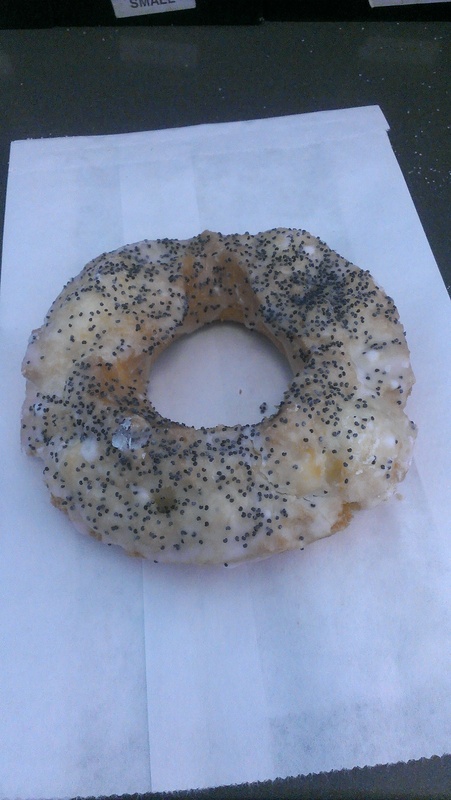 I dropped by one day while I was in the area and snagged a Lemon Poppyseed Doughnut. Yes still going through that lemon phase folks. This entry was posted in Desserts, Food Reviews and tagged donuts, doughnuts, lemon glaze, lemons, Lucky's Doughnuts.